Fast bowler, six-hitter, popular hero, one of the lads, king of the jungle - Andrew Flintoff is all of those things. Second Innings, is his searingly honest yet uplifting autobiography, and Flintoff reveals unseen, surprising sides to his career and personality. The restless need to push and challenge himself that led him to take up professional boxing. The complex and troubled relationship with discipline, alcohol and authority during his exhilarating cricket career. The search for an authentic voice as a player, free from the blandness and conformity of modern professionalism. Is Flintoff the last of his kind, in any sport? Through all his highs and lows, triumphs and reversals, this book reveals a central tension. There is 'Fred' - performer, extrovert, centre of attention. Then there is 'Andrew' - reflective, withdrawn and uncertain. Two people contained in one extraordinary life. And sometimes, inevitably, keeping the two in balance proves too much. We are taken backstage, seeing the mischief and adventure that has defined Andrew Flintoff's story. Above all, we observe the enduring power of fun, friendship and loyalty - the pillars of Flintoff's career. 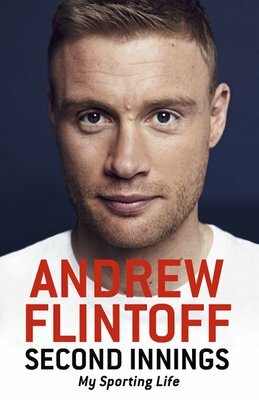 At ease with his faults as well as his gifts, Andrew Flintoff has sought one thing, even more than success: to be himself.